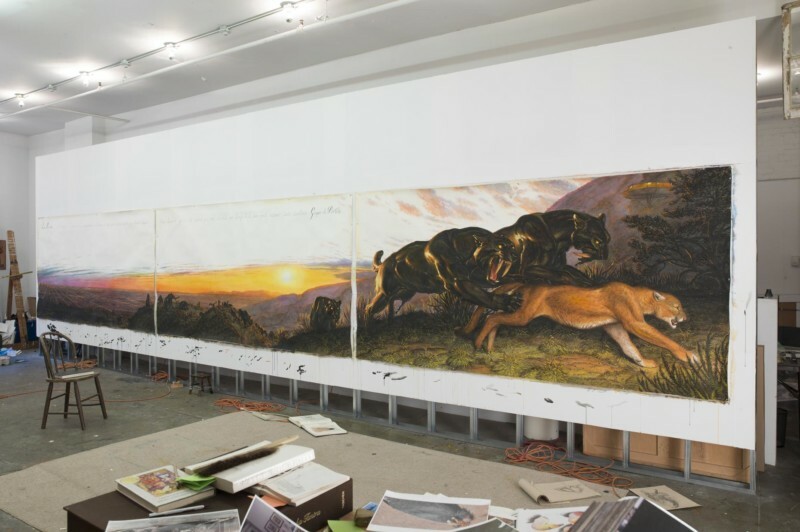 Join artist Walton Ford and writer Emma Cline for a conversation with WNYC’s Mythili Rao in Gagosian Quarterly’s inaugural talk at The Greene Space. Ford’s newest exhibition is entitled Calafia, now at Gagosian Gallery in Beverly Hills through December 16. The exhibit is comprised of a new series of large-scale, watercolor paintings in which Ford depicts California through his singular, animal-focused lens of myths, literature and folklores. Cline’s acclaimed debut novel “The Girls” focuses on similar themes of California’s history and aura. She joins Ford to discuss the duality of glamour and catastrophe, as well as contemporary concerns surrounding California — from wildfires to dreams deferred.